William Arthur Carr, one of the greatest sprinters of his era, was born in Pine Bluff, Arkansas, on October 24, 1909. 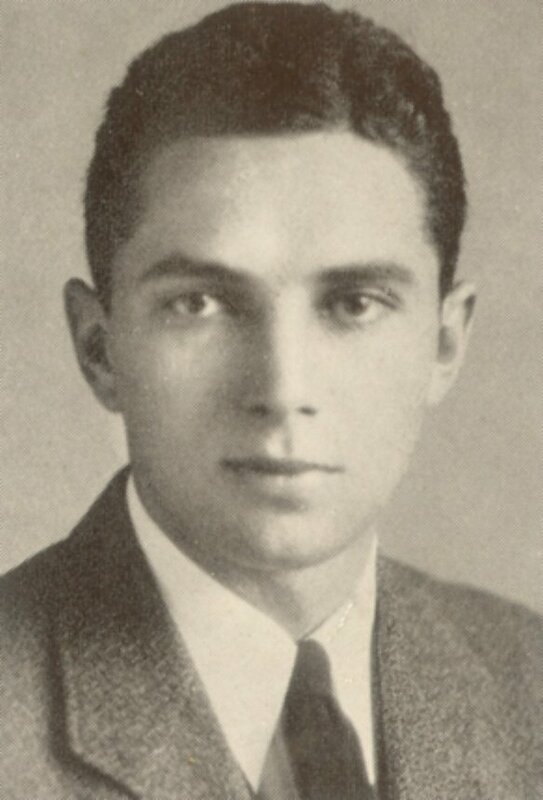 After graduating from Pine Bluff High School in 1927, Carr attended Mercersburg Academy before enrolling in the University of Pennsylvania in 1929. During his years at Penn, Carr was sophomore class president and a member of the Junior Week and Ivy Week committees; in his senior year he was elected to the Sphinx Senior Honor Society. He was best known on campus, however, as a track star; not only was he co-captain of Penn’s varsity track team, he also won two Olympic gold medals during his college years. Known as one of the smoothest runners ever to grace the track, Carr never lost a race throughout his entire Olympic and intercollegiate career. It was during his years at Penn that the University regained its prominent position in the world athletic arena. Primarily a sprinter and relay runner, Billy Carr had never run a major individual race before the 1932 Intercollegiate Championships and Olympic trials. His biggest competitor, Ben Eastman of Stanford, was gaining notoriety as being the fastest quarter-miler in the world, and the media turned their rivalry into an east vs. west showdown. In their first meeting, however, Carr proved to be the superior runner, beating Eastman in a seemingly effortless home stretch surge that earned him both the intercollegiate championship and a new world record. Carr went on to beat Eastman two more times in the individual 400 meter event; Carr’s third victory over Eastman in this race came at the 1932 Los Angeles Olympics when Carr set another world record of 46.2 seconds, winning a gold medal in the 400 meter event. At this Olympics, Carr also anchored the American 1600 meter relay team, winning his second gold medal and setting his second world record of the 1932 Olympic Games. He had secured a place as one of the greatest sprinters of all time. The Olympics made Carr a celebrity. His rivalry with Eastman continued, but unfortunately, a rematch between the two stars never came to pass; just before the start of his senior year, Carr suffered two broken ankles and a broken pelvis in an automobile crash, effectively ending his impressive competitive track career. He retired from track having never lost an intercollegiate race, and his world record in the 400 meters would stand for another twenty years. As the only two time gold medalist from Arkansas, he was inducted into the Arkansas Athletic Hall of Fame in Little Rock in 1962. After graduating from Penn’s Wharton School in 1933 with a B.S. in Economics, Carr worked for the Insurance Company of North America until the onslaught of World War II. During the war he served as a commander of Naval Intelligence. After the war, he took a position with Pan-American World Airways. Later in his career he moved on to become vice president of Prismo Safety Corporation and Potter Brothers, manufacturers of highway safety and building equipment. He died in Tokyo, Japan, on January 14, 1966, at the age of 56, leaving behind his wife, Rachael, and son, Allin.